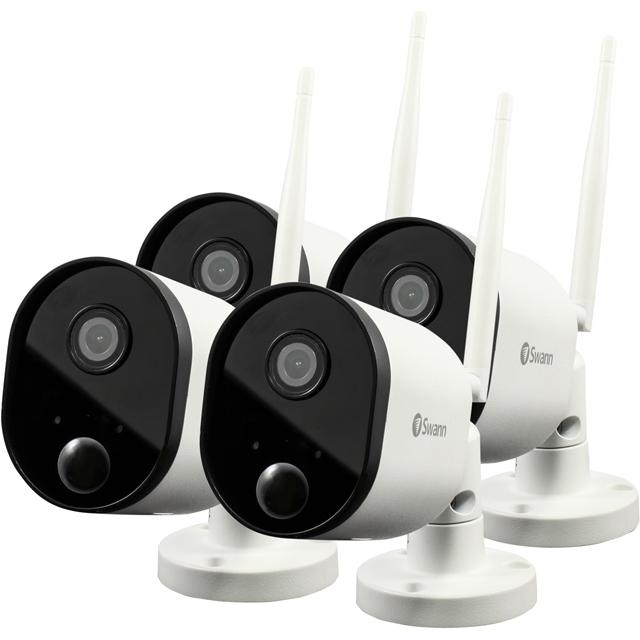 This Swann smart security camera 4 pack lets you keep an eye on your home wherever you are. You can pair them up with your smartphone or tablet through the handy companion app, so you can check in on things while you’re away. Thanks to their Full HD 1080p recording quality, they’ll catch everything in superb detail. Plus, they include a night vision mode, so you can watch live feeds at any time of day – great for checking if there’s anything suspicious going on. And the super-accurate True Detect sensor cuts down on false alarms by only activating when it recognises heat from people. Finally, the two-way audio feature means you can hear everything that’s happening, as well as chat with anyone standing on your doorstep. Please note, to use the Swann smart security camera you’ll need to download the free Swann app, which is compatible with all iOS and Android devices.